General Westmoreland left Viet Nam in July, 1968. He was replaced by General Creighton Abrams, Jr. Abrams had the difficult task of implementing the so-called Vietnamization policy instituted by the Johnson administration. 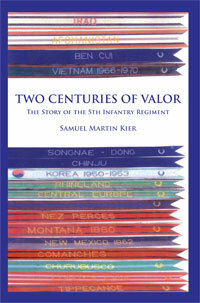 It required the gradual reduction of American forces in Vietnam while keeping the North Vietnamese Army at bay. By its very nature, the challenge of keeping the North Vietnamese at bay was serving to implement Johnson’s policy of gradual reduction. Between May 1 and July 31, 345 members of the 25th Infantry Division were killed in action; some 1424 had been wounded. Slots for infantry captains and high-ranking NCO’s remained vacant. It was not uncommon to see lieutenants serving as company commanders and to expect infantry squads of six or seven men to do the work of twelve. At the beginning of August, the entire 1st Brigade, 25th Infantry Division assembled at Dau Tieng near the Saigon River. A base camp was established on part of an abandoned rubber plantation. The former superintendent’s house and an above-ground swimming pool stood in the middle of the brigade’s perimeter. The base camp received sporadic small arms harassment during the first half of the month. This increased to mortar and rocket fire on the 17th. These attacks were conducted by the 5th and 9th VC/NVA Divisions. Their objective was apparently to expose Saigon by drawing allied forces north. On August 19, the battalion left the base camp to sweep the area northwest of the airstrip on the Ben Cui Plantation. Bravo and Charlie Companies drove west on Highway 239, for a mile or two, toward Tay Ninh. Charlie Company dropped off at a large circular clearing while Bravo Company continued a little further west. Suddenly AK-47 fire erupted from the tree line. Charlie Company had to fight its way west to link up with Bravo Company and Recon Platoon. Artillery, air strikes and gun ships were called in for support. The G.I’s made two assaults against the enemy position before they were able to punch through it and convince the Viet Cong fighters to break contact. After sweeping the area, the three units returned to Dau Tieng stung by the loss of nine dead and sixty-three wounded comrades. On August 21, at 0640, the men of Charlie Company departed Dau Tieng to, once more, reconnoiter the Ben Cui Rubber Plantation. The enemy had been using the plantation to infiltrate men and supplies from War Zone C in the north to Saigon in the south (37). The Bobcats took a scout dog with them. Their mission was to sweep in a northeasterly direction from Dau Tieng, staying about one thousand meters south of Highway 239. Recon Platoon, plus the 3rd Brigade CRIP (Combined Reconnaissance and Intelligence) Platoon, and the crew of one twin 40mm self-propelled anti-aircraft weapon left a few minutes later. They were to move parallel to Company C along the highway. Charlie Company advanced with two rifle teams abreast. The 1st Platoon, on the left, was led by SSG Mainor Lang and the 3rd Platoon, on the right, was led by 1LT Arthur Cook. The platoon’s APC’s and the company commander, 1LT John Snodgrass, followed the dismounted troops. At 0831 hours, the scout dog sensed trouble. His handler suspected that there might be an enemy concentration to the southwest. 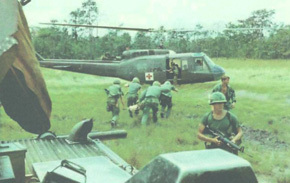 The battalion S-3, observing the operation in a helicopter, swooped low over the area of concern but could see nothing unusual. The rubber trees were 25-30 feet in height and the underbrush had been cleared in most sections of the plantation. Lieutenant Snodgrass directed 81mm mortar fire into the area but nothing stirred. Recon Platoon conducted a search of three buildings on the southern edge of a village that had been used by the enemy for billets and classrooms and found nothing significant. Following the dog handler’s hunch, Charlie Company shifted to the southwest and moved out of the open into the rubber trees. At 1110 hours, the company began receiving sniper fire from the west and southwest. One Bobcat was killed and another was wounded. The sniper fire was soon followed by automatic weapons and rocket propelled grenade fire. Gunship support was requested and the lead elements of Charlie Company increased their volume of fire. Lieutenant Snodgrass had 2nd Platoon advance to the right flank of 1st Platoon to increase the fire power up front. Company C had run into the 4th Battalion of the Phu Loi (VC) Regiment. The enemy, dressed in green and camouflaged uniforms, advanced, rushing from tree to tree. Some were attempting to move along the south flank of Charlie Company. The volume of fire soon reached an extremely high rate and Sergeant Lang, leader of 1st Platoon, was killed. SP4 Michael Mangan maneuvered his armored personnel carrier into a position from which he could deliver the most effective fire and began firing his light anti-tank weapon at the charging enemy. At this point, LT Snodgrass, realizing that he could not effectively employ the APC-mounted .50 caliber machine guns over his dismounted troops, ordered the three forward platoons to pull back and form a perimeter around 4th Platoon. As they did, incoming RPG rounds and automatic fire reached a crescendo. As they withdrew, Snodgrass ordered the mortar squads to pull back out of the trees so that they could get overhead clearance. Charlie Company opened up with all available weapons, including M-72 LAW’s (light anti-tank weapons) in an effort to suppress the enemy attack. As Specialist Mangan backed his vehicle into the defensive position, it was struck by an enemy rocket which caused it to burst into flames. Mangan, exposing himself to the enemy barrage, was able to extinguish the fire but was wounded in the arm. The APC was then struck by a mortar round. Finding his carrier inoperative, Mangan ran to another assault vehicle to assist its machine gunner. When the latter had expended his ammunition, Mangan ran through a hail of bullets to obtain a resupply from his demobilized track. As he climbed into the vehicle, it was struck by a rocket, knocking him to the ground. Struggling to his feet, he picked up the vital ammunition and carried it to the machine gunner’s position. He was mortally wounded as he delivered the ammo to his comrade. When Snodgrass’s headquarters group came within 50 to 75 yards of 4th Platoon’s position, an RPG round exploded nearby wounding the company commander, one of his radio operators, the heavy mortar forward observer, and the artillery forward observer. A second radio operator was killed. Three nearby APC’s were knocked out. The wounded men were placed in an undamaged track and LT Arthur Cook, 3rd Platoon’s leader, assumed command of the company. Following Sergeant Lang’s death, Sergeant Marvin Young had taken charge of 1st Platoon. Young deployed his men into better positions and directed their fire. Since their communications had been knocked out, they didn’t know that the rest of the company was pulling back. When Sergeant Young finally realized that they were alone, he ordered the platoon to withdraw. He remained behind to provide covering fire. Then noticing six men still fighting on the right front flank, he ran to their location. As he ran he was shot through the side of his face, completely losing one eye. He reached the six men and laid down a base of fire to cover their withdrawal. Young had trouble moving, as a result of his wound, and one of the men dropped back to help him. As they resumed their withdrawal, a group of North Vietnamese over took them and shot SGT Young in the upper arm. He went down. The other soldier remained with Young to help him hold off the enemy. Young suffered another wound in his leg and his companion got hit in the foot. Sergeant Young, knowing that he would be unable to go any further, thanked his helper and ordered him to leave. At 1135 the battalion S-3 urgently asked for the air strikes and gunships that had been previously requested but had not arrived. Twenty minutes later, the forward air controller stated that it would be twenty to twenty-five minutes before the arrival of the first air strike but that a helicopter light fire team (one observation helicopter and two helicopter gunships) was on the way. The light fire team arrived at 1201 and was immediately employed along the south flank of Charlie Company. “At this point,” recalled LT Arthur Cook, “the company was totally disorganized. They were in a rough perimeter, the tracks were still firing toward the front and the fire was still coming at us from the right flank; a little from the left flank, but mostly from the front and the right.I had several men killed; a lot of them were wounded. When all wounded had been loaded onto personnel carriers, Company C retraced the same route that it had used that morning. It exited the rubber plantation at a clearing and established a perimeter to accommodate the dust-off helicopters. They were soon joined by Recon Platoon and the 3rd Brigade CRIP that had been participating in the fight from their vantage point on the road. The dust-offs of the wounded were completed at 1254 hours. Twenty minutes later, the survivors of the fight at Ben Cui were back at the Dau Tieng Base Camp. Seventeen Bobcats died during the 30-minute fire fight at Ben Cui. A preliminary battalion report listed twenty-one wounded. Interviews with the platoons involved yielded an estimated enemy body count of 207. These estimates did not include those VC killed by air, artillery or helicopter gunships. The 1st Battalion, 5th Infantry received a Presidential Unit Citation for “Extraordinary Heroism in Military Operations” for the period 18 August through 20 September, 1968. LT Arthur Cook received the Silver Star for “exposing himself to withering Communist fire until he was sure that all wounded were ready for evacuation” and Sergeant Marvin Rex Young was posthumously awarded the Congressional Medal of Honor for “conspicuous gallantry and intrepidity in action” at Ben Cui (38). SP4 Michael Mangan was posthumously awarded the Distinguished Service Cross (39).